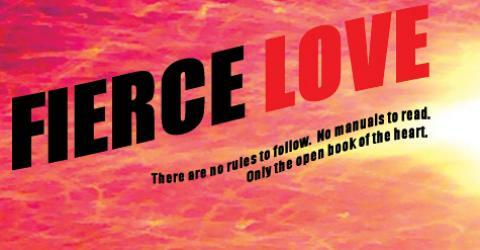 Welcome to Fierce Love, the weblog for acclaimed filmmaker and spiritual activist Velcrow Ripper. A journey into the heart of Love in action, of spirituality in the real world. A personal inquiry into what it is to be divinely human in these times of turmoil and transformation. My latest project is the “Fierce Love Trilogy”. It began with ScaredSacred , a film about the search for hope in the Ground Zero’s of the world – places like Afghanistan, Hiroshima, Israel and Palestine, Bhopal, Cambodia and Bosnia. A film about unwrapping the darkness, to reveal the light. This was followed by the documentary, Fierce Light: When Spirit Meets Action, about contemporary stories in the tradition of Gandhi and Martin Luther King, stories that capture the Zeitgeist of transformation that is sweeping the globe, a transformation that begins in the heart of each and every one of us. It is a journey that is both very personal, and very universal. Fierce Light is hitting the film festival circuit, and will be coming to a theatre near you beginning in the spring. Velcrow, where does light come from? Does it originate from within ourselves, and if so how did it get there? Are we lit by a thought or a feeling, or is it a choice. Perhaps the positive affirmations of our strongest will. where does the light come from? Well I think it’s a both/and scenario – the light comes from within, as ultimately we are Totality, boundlessness, G~d if you like. And yet G~d is of course vaster – vaster than we could every comprehend, and so the source of all light is without. So it’s both/and. And depending on where you are in life, on your spiritual journey, you can either be a reflector of light – like the moon – or a source of radiance yourself – like the Sun. To be like the Sun is a powerful place to be, and takes a real committment to Love, as well as doing deep shadow work. Until we understand the totality of ourselves – mind body spirit and shadow – we will be unconsciously in a “taker” mode. To move into a radiant, “giver” mode, (which must always include giving to yourself – true giving feeds you, does not deplete you), we need to be awake, aware, fully conscious. Positive affirmation is great, and can be useful, but is only one part of the picture. We also need to understand the full spectrum of who we are, and that sometimes means mucking around in the darkness and seeing, releasing, and loving what is there. Are we lit by a thought or a feeling? We certainly can be, and thoughts change into material reality very easily. And they also transmit energy. As do feelings. We can be lit by a matrix -thought, feeling, energy, physicality, divine inspiration…maybe all at once! But we need constant clearing, constant consciousness, constant growth. We never stop growing on this earth, that’s the fun part! I got in love with the Fierce Light movie, and now I got here, only to read you’re starting a film about what I’ve been planning to write a book about, that is “A Better World Starts Now” or something like that, about people who are succeeding in creating bits of a better, more just, more sustainable and holistic world/society right now. For all of us dreamers to be inspired, and to learn both from their strengths and weak places: How do they do it? What works and why? What doesn’t and why not? I have been looking for ‘Selflessly Participative Exploration and Action’. At my blog, the current ‘strawman’ presentation has a number of threads, including cultural, philosophical, technological, spiritual, … The parent-blog has a number of associated blogs. Please take a look at them. I would like to explore with you the possibilities of associating it with ‘fierce love’. Thanks. Let start something “different”: The world is perfect, the universe is perfect, all is absolutely perfect, and humans are perfect, totally perfect. Now, visualize this wonderful all pervasive perfection, make it real in your mind eye, see it, feel it, have the certainty of the total Cosmic Perfection. There is nothing else but Peace, Freedom, Unconditional Love, total fulfilment in life, complete Harmony and Beauty. Be this Perfection and it will suddenly BE REAL! You have the Power NOW to make it happen. Discovered your blog and work tonight… and simply wanted to say Thanks… Thanks for showing up. Are you a fellow Law of Attraction coach or writer? Perhaps LOA is not your professional mission but you’re certainly a believer? If so, then you belong a small group of world leaders who is preparing humanity in our next ascension process. We have launched these free power tools only two days ago and already the page has received over 25,000 views. Please help clean our cyber space of unnecessary clutter such as viruses, hurtful words and other non-beneficial energies by placing these free widgets on your front page. Give the gift to your clients! Once these power tools are on your own site you can announce to your clients and viewers to grab the widgets as a free gift from your site. They don’t need to come back to our site, they can get the gift right from your own website. We wish you clarity, transparency, bliss and love and we thank you for what you do for humanity worldwide!